Surfing is sport of balance in which there are two moving elements, the board and the wave. We, as the intermediate surfer, have an array of board options from which to choose. There are varied lengths, widths, styles, and materials. And with each combination a new benefit or challenge. Of the two moving mediums in surfing, the board is in our control to a degree. We make this choice as we pack our essentials and make our way to the ocean. Now, think of the last wave you surfed. How big was it? How fast was it traveling? What direction did it come from? Every wave is different and will vary in size, shape, speed, direction, and breaking point. The wave is the element which prompts us for our reaction. It invites us to get swept away for a brief moment and gives us but an instant to decide. Out on the water, catching a fantastic wave and enjoying a blissful ride can be a truly moving experience, but it is up to us to find the right wave with the right balance to make it safely back to shore. 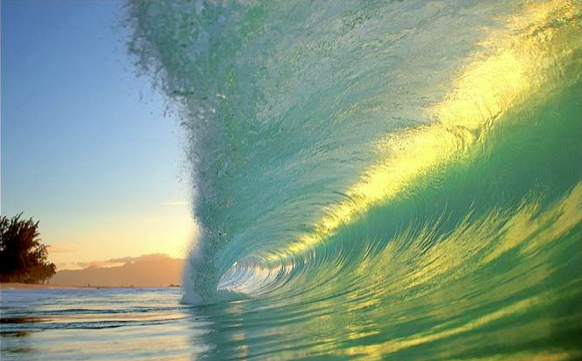 Interested in challenging yourself to surfer your surf adventure and find that perfect wave? Easily done so with the beautiful waves of Maui, Rote Island, and Sri Lanka!